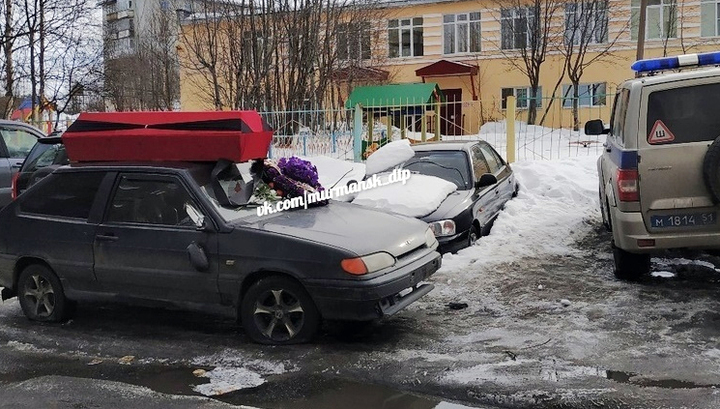 In Murmansk on April 2, an empty red coffin appeared on the roof of a VAZ car (dark blue), and there were wreaths on the windshield. About the incident it became known from the townspeople eyewitnesses. Eyewitnesses reported that all this happened on Guards 3 str, near the kindergarten, when there were many children and their parents on the street. 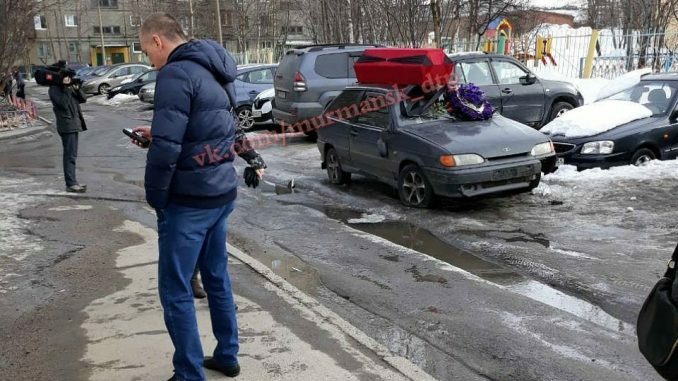 According to local residents, people in balaclava arrived in the courtyard, smashed the windshield of the car, cut the wheels and laid wreaths on the car. In addition, they shouted loudly that the owner of the car would “lay down” in this coffin. At first, eyewitnesses suggested that these could be collectors. However, a source in the emergency services of Murmansk said that this case has nothing to do with the activity of collectors. Later it became known that the car belongs to an employee of the organization for catching stray dogs, Murmashinsky Animal Care Center.